Nagano is special to me, because it’s the first place I ever went to in Japan. I did a one month study abroad program here, and it was nothing less than magical. The mountains, the food, and most of all the kind hearts of the people in the countryside are what made me fall in love with this place–and convinced me to come back. Since my first trip to Japan, I’ve been to countless prefectures and cities in the country–yet Nagano still remains my favorite. It has charm. It has tradition. It has nature. It’s the best prefecture to visit because of its close proximity to Tokyo and countless sights. Japan’s most authentic and intact castle: Matsumoto-jo. Smack center in the middle of the city is this masterpiece. This is one of the few castles in Japan which was not destroyed by wars or fires. It’s almost exactly the same as it was 400 years ago. 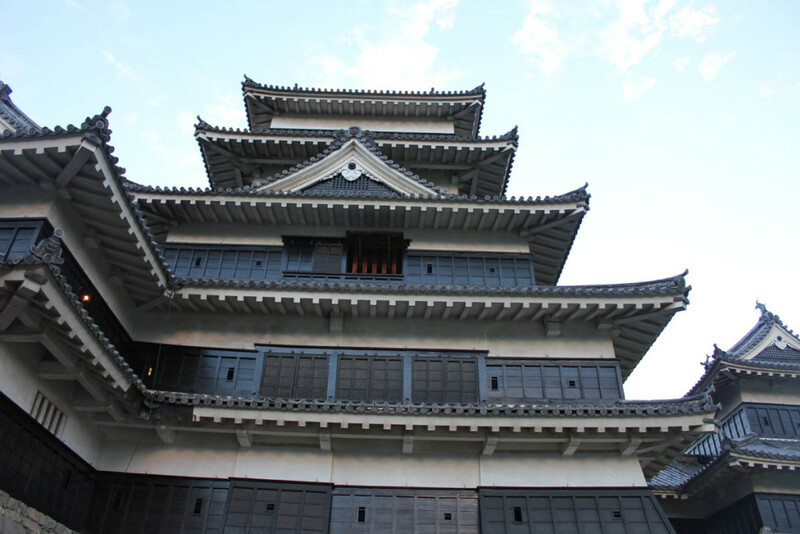 Built in the karasu-jo (crow castle) style, this castle design is in stark contrast to its counterpart Himeji Castle (in hakuro-jo style, white egret) in Himeji city way down south. With a cheap ticket (10 USD or less if I remember), you can enter the castle and climb up the crazy, steep stairs used to keep intruders out. The castle gardens are also the best place to watch the sunset, go for a romantic stroll, or perhaps even catch a festival. Kamikochi is one of Japan’s national parks and a UNESCO world heritage site. 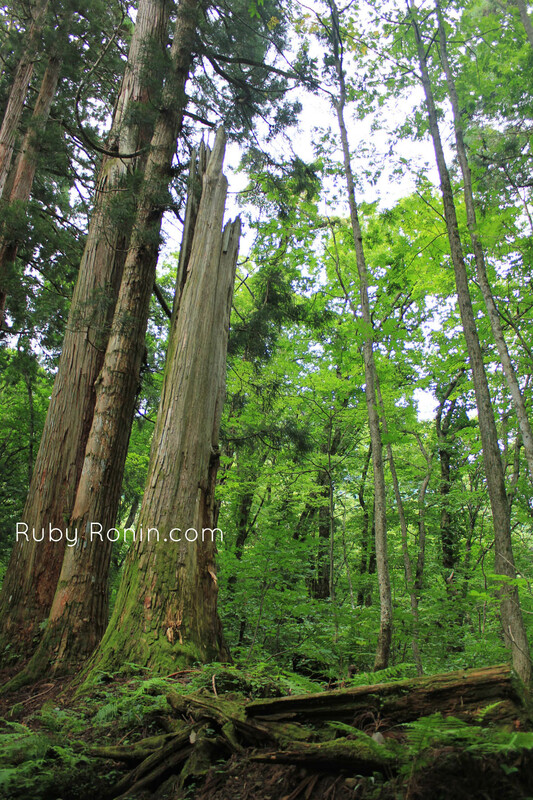 Only a quick one hour bus ride away from Matsumoto City is an immensely green forest covered in trees that reach up to the heavens. At the top of Kamikochi is a shinto shrine, where you can wish for safe travels, a long and healthy life, or to pass the college entrance exams (by far the most popular request of Shinto temples in Japan). I’ve been to this national park three times and let me tell you: it never gets old. It feels like walking into a fairy tale. Ah, Nagano City. You can’t go through the prefecture without stopping through its capital city, right? 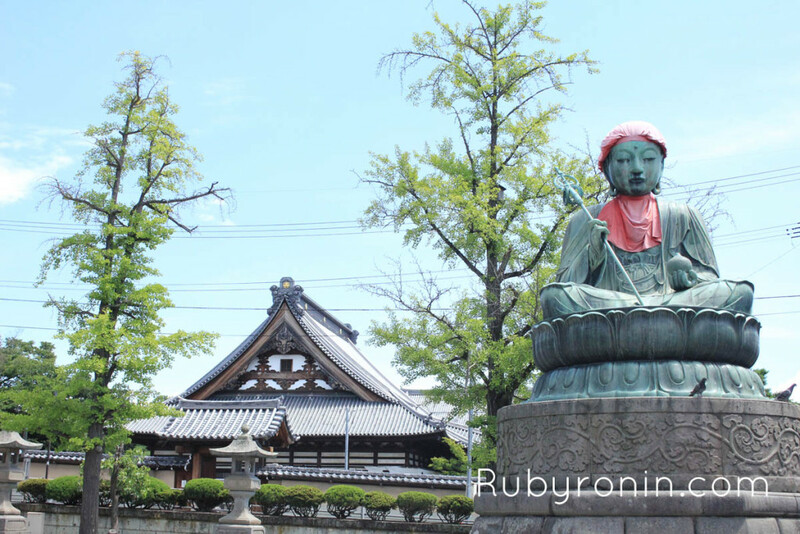 The main highlight of Nagano City is Zenkoji Temple, one of the few remaining pilgrimage sites left in Japan, rumored to hold the first Buddha statue ever brought to the country. 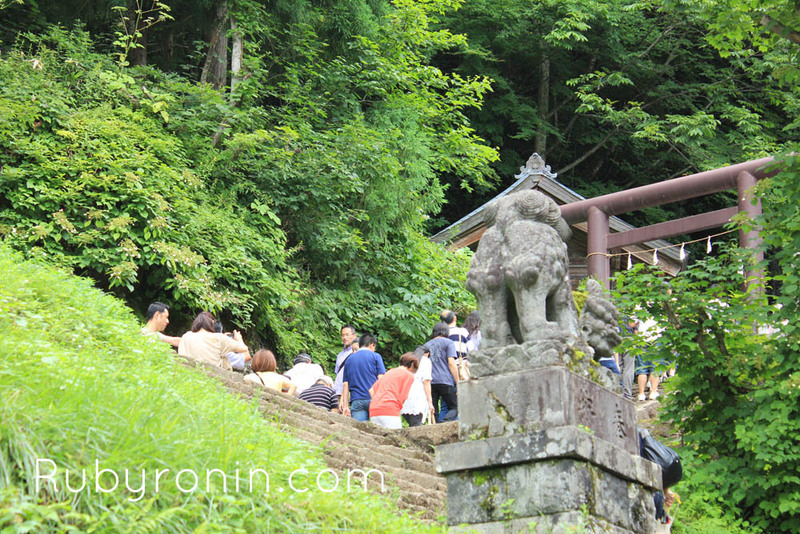 I’ve seen a lot of temples in Japan: and trust me, Zenkoji does not disappoint. You can also go through the underground sanctuary beneath the temple for a tour in the dark. Guests are supposed to feel their way around the passage through the guiding light of Buddha–but mainly, it’s dark and and somewhat creepy. Still, an experience nevertheless. Nagano City is also a lovely, medium-sized city that is much more manageable than crazy and crowded Tokyo. It has a slew of bars, restaurants, and good food that are very friendly and open to foreigners. Nagano is also known for its apples and wasabi, so don’t forget to pick up your apple themed omiyage (souvenir) before leaving. Karuizawa is a trendy, hip mountain town located on the western most edge of Nagano prefecture (closest to Tokyo). It’s famous for its western churches (one of the first built in the region), which is where many Japanese couples dream of tying the knot. 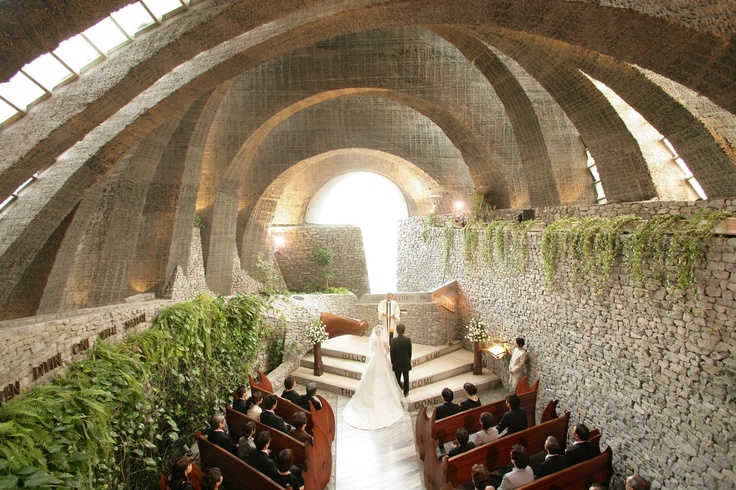 These two churches are: St. John Paul the Baptist’s church and the modern stone wall church built into the side of a mountain. 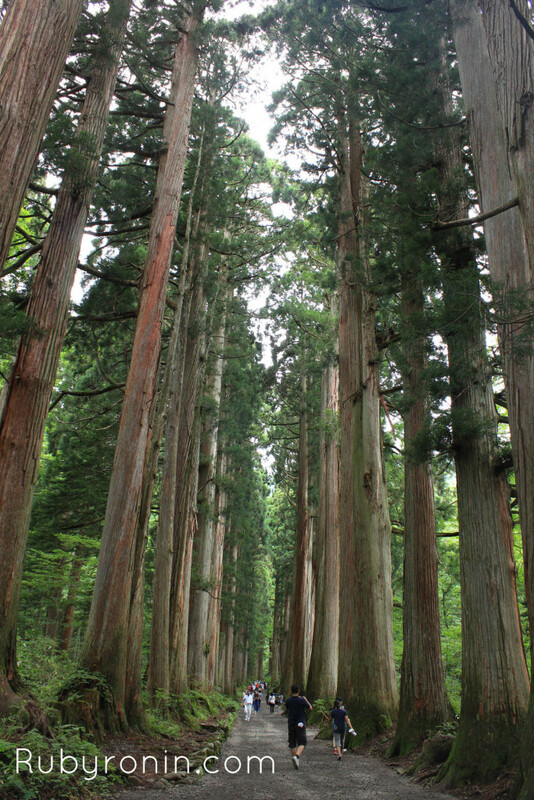 Karuizawa is mainly a place for the rich to buy a cool mountain retreat to escape the unbearable heat of Tokyo summers. Yet despite its high-profile, short-term tenants, the place has managed to retain its small town charm. A quick stroll down main street and you’ll find dozens of local shops selling local Nagano fashion, organically harvested honey, and furniture stores run by local artists. 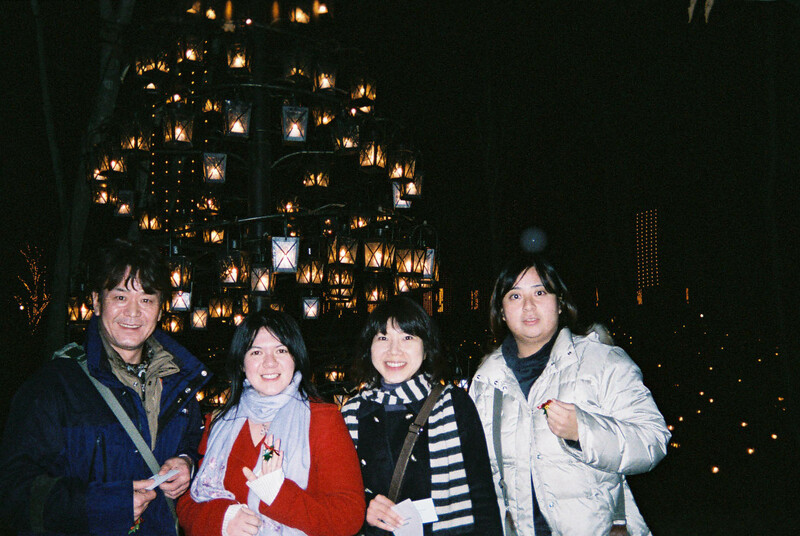 While Japan doesn’t officially celebrate Christmas, Karuizawa is one of the few places in Japan where the Christmas spirit felt authentic. Christmas lights, cold weather and snow? Yes please. In Japan, the best hot springs (or onsen) are located in the middle of nowhere–and lucky for you, Nagano prefecture is in the middle of nowhere. 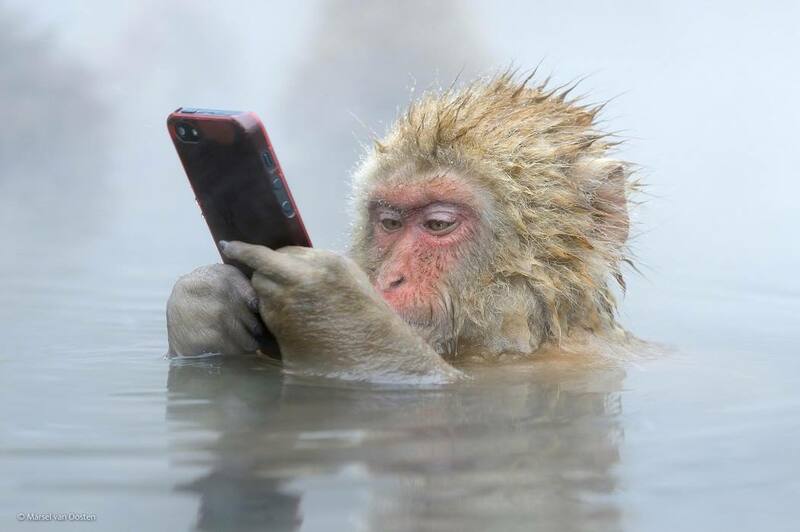 A short ride away from Kamikochi is Jigokudani, a snow monkey park where, yes, you can actually bathe with the monkeys. This is actually horrifically dangerous (I have done it–eye contact with a monkey could result in multiple flesh wounds and the loss of an eyeball), so I recommend taking photos of the monkeys from afar and not bathing with them. 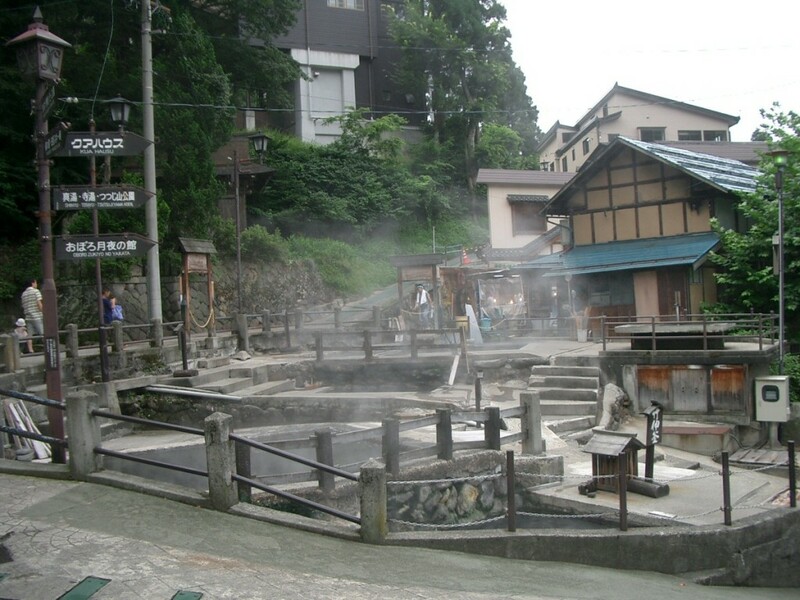 The most famous hot spring (without monkeys) is Nozawa onsen located near Nozawa Ski Resort in the middle of nowhere (aka, Nozawa village in Nagano). It’s a great place to relax, soak in some natural mineral waters, and sip some hot sake as you enjoy a snowy winter day in the comforts of a bath. But honestly, there’s an onsen almost anywhere in Nagano. Whether you’re in Nagano city or Matsumoto City, there is usually one hot spring a short bus or train ride away. In Togakuchi, a mountain village located one hour away from Nagano City, is a soba school. 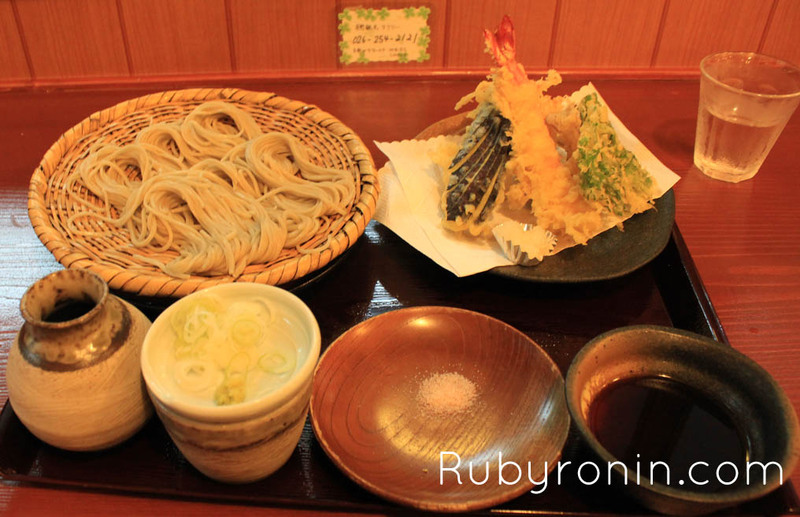 Nagano is famous for its zaru-soba, or buckwheat noodles. You cannot leave Nagano without sampling its cold/hot buckwheat noodles alongside some crisp and flaky tempura. Hell, at Togakushi Tonkururin, a famous soba restaurant, you can learn how to make soba AND eat it all in one go. 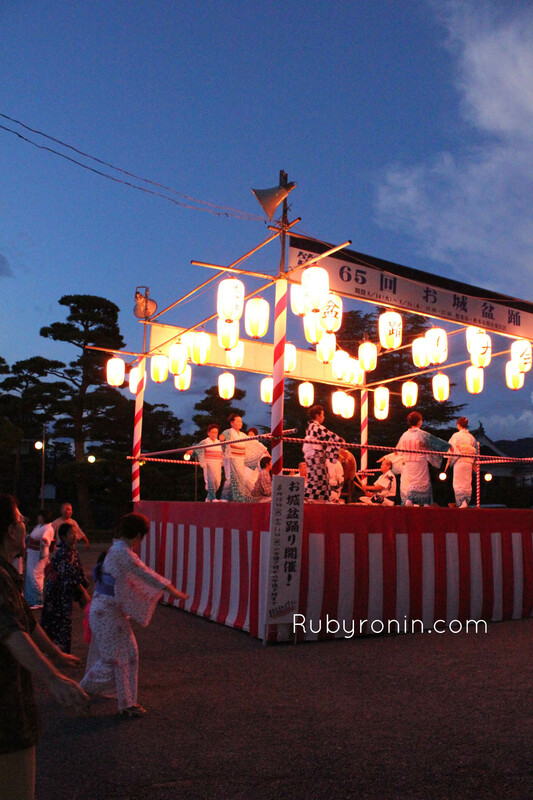 After wandering around Matsumoto Castle, I returned to the garden entrance to find the 65th annual Obon festival dance in full motion. The beat of the taiko drum. The chanting of the dancers singing the familiar festival songs that reverberate across Japan throughout summer. The red and white striped lanterns. 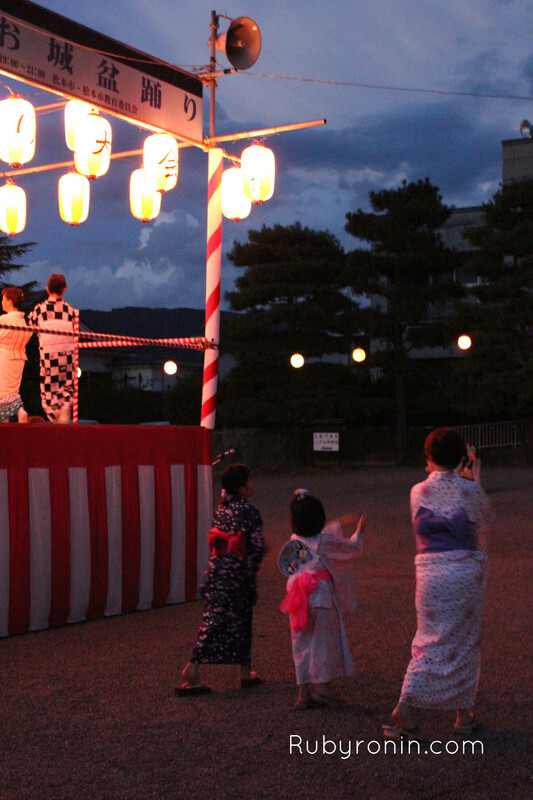 The familiar “yokosoi” dance for summer festivals, where men and women in kimonos and yukatas flick their hands up, dip down and twirl around in perfect unity and precision. The humid summer air. The smell of yakisoba (fried noodles) wafting up from the food stalls nearby. The gathered community. People laughing. I felt it. This is Japan. What it means to be Japanese. A small slice of Japanese life in the countryside. In Nagano. The heart of Japan. 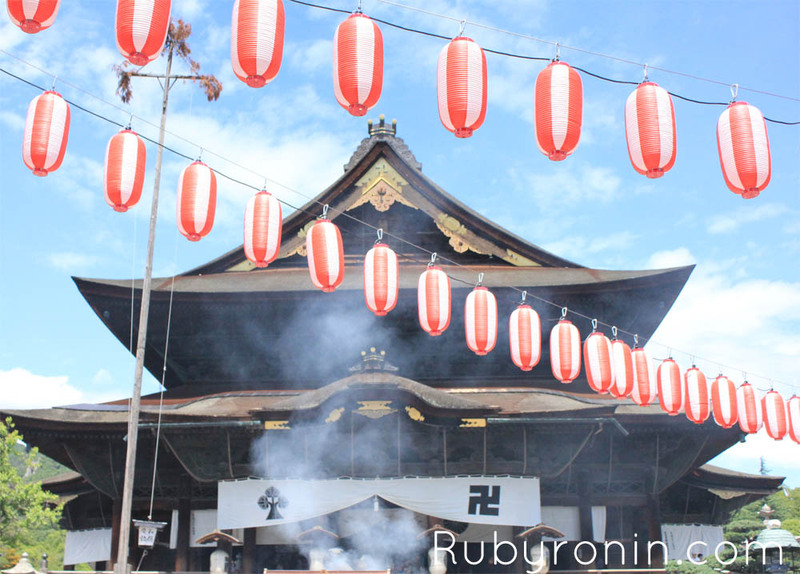 If you’re planning a trip to Japan, definitely stop by Nagano! 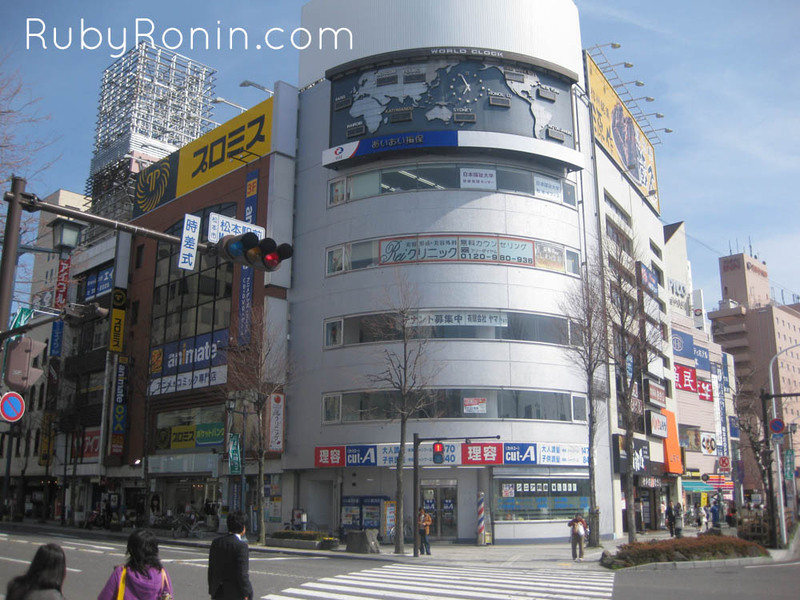 It’s easy to tack onto any Japan trip because of its close proximity to Tokyo. If you’re a skiier or snowboarder, it’s a must. If you’re planning a trip, the official Nagano website is the best place to get tips. They’ll give you advice on how to get where. Also, the best website/app to look up train directions in Japan is Hyperdia and Google Maps. Japan is a super easy country to navigate, and almost ANYWHERE is accessible by train (even Kamikochi and other extremely remote national parks)! And of course, use Airbnb and hostels when you can, since accommodation is usually the most expensive thing in Japan. Matsumoto has a slew of great Japanese B&Bs! Thanks for sharing. If I go to Japan, it will be Nagano. Yay! I’m glad I convinced at least one person! Anyway, yeah, skip the monkeys. Not that great. That castle looks like a castle I’d want to see! I’ve seen so many European castles, I’m jaded. I don’t know why I didn’t realise Japan had castles too! Yeah, Japanese castles are AWESOME! You definitely need to go! Have you been to Japan? I hope you can go soon! I don’t know why it’s not letting me reply directly to your comment, but I do plan to go visit Japan as I’ll be working in Asia for the foreseeable future. If things work out, I hope to go to Japan for hanami season in 2016. Not sure yet! We’ll see! Woohoo! You’d love it Lani! Nagano reminds me of Colorado and Utah (but a lot greener). Ugh, I hate monkeys. There is no way I would bathe with one (don’t they have fleas or something?). That forest looks gorgeous though. I don’t think they have fleas? They’re quite clean, but like I mentioned, they can be quite dangerous! Before we went into the park we were given a laundry list of instructions for how to deal with the monkeys (don’t look them in the eye, feed them, get within 10 feet of them). Yeah. WOW You’re going to Japan!?! I’m so excited for you!!!!! For Osaka, you should definitely go to Dotonbori and Nama, since it’s the main road of Osaka where all the action happens. It’s a foodie town, so there’s a lot of good stuff. Definitely try okonomiyaki (Japanese pizza) and takoyaki (octopus balls). You can also go to Shin sekai , another foodie spot full of old school Japanese shops. 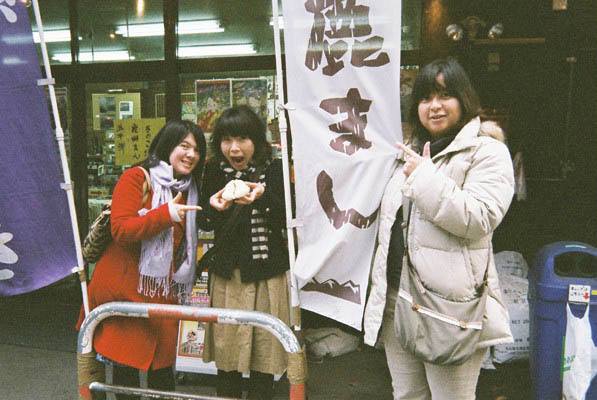 “Kushi katsu” is also famous here (kushi katsu shops are everywhere). It’s a dish that’s basically fried stuff on a stick. There’s also Osaka castle, which is pretty on the outside but is actually a rebuilt castle. If you go inside there’s elevators and other modern things (not as intact as Matsumoto). Kyoto has so much to see, I’m sure you’ll have no problems finding things to do. My favorite spot is Fushimi Inari (the place with all the red Japanese gates). It’s on the outskirts of Kyoto and DEFINITELY WORTH IT. 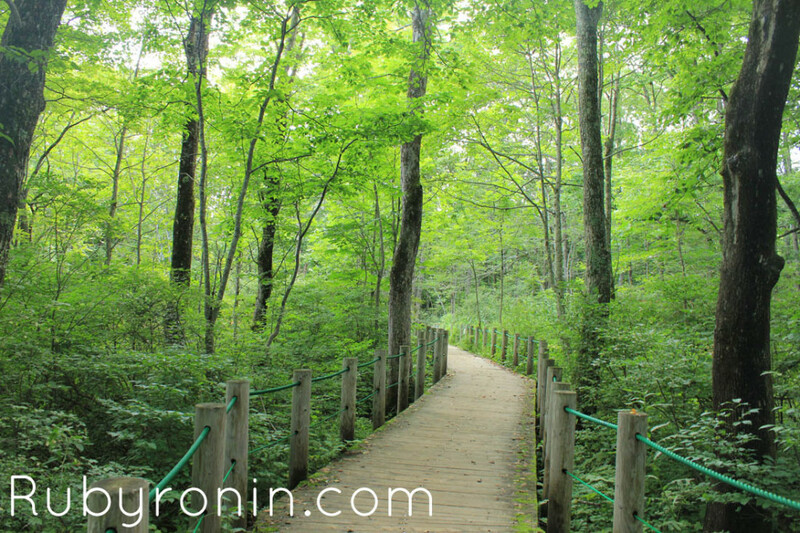 There’s another forest area in Kyoto called Arashiyama. Lots of bamboo, green and temples. It’s also a bit further out from the city so it feels more remote. Let me know if you need anymore tips! Good post; seems there is a lot to see in Nagano. I’ve only been to Matsumoto, to visit Tateyama, but I also visited the black crow castle. Oh I hoped you liked it! Yeah there’s a ton to see in Matsumoto, but most travelers usually use it as the start (or finish) for Tateyama (which, ironically, I haven’t done). How was Tateyama? I found the crow castle to be very impressive. Tateyama was pretty good, especially the dam and the top. The only issue was it started to rain and get very cloudy when I reached Murodo so I couldn’t hike to the peak. Tateyama was pretty good. I actually went there years ago on a tour and I liked it do much, when I went to Japan in 2013, I decided to visit it again. Love Nagano! My Chinese fiance and I have been there twice – Matsumoto castle is definitely a highlight and while a lot of people seem to not be a fan of the monkeys they were my favourite part! We also spent quite a while in Nozawa Onsen – the fire festival was on while we were there and that was definitely a pretty cool highlight. WOW! You went there twice!?! You must really love it!! 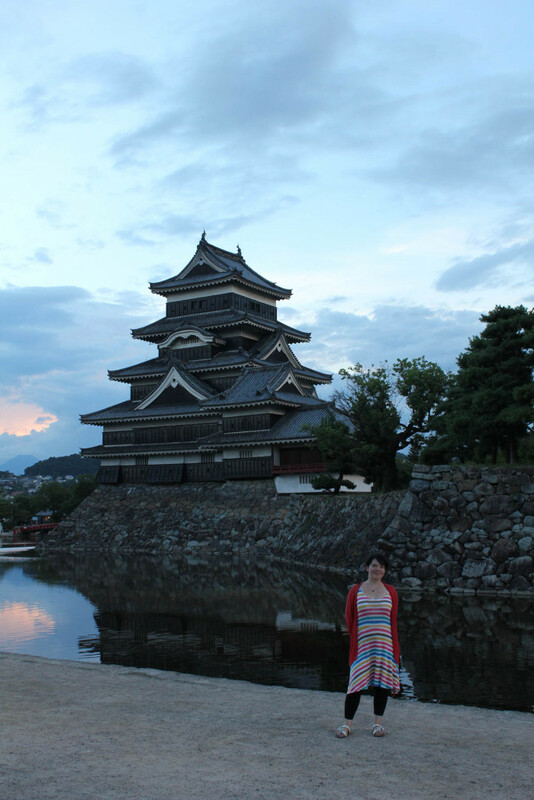 Matsumoto castle is AWESOME! It’s as real as it gets when it comes to relics… I could stare at it all day, it’s really so beautiful and majestic. I actually haven’t been to Nozawa onsen (gasp) but I’ve been to a number of onsens around Nagano… they’re so great! Did you used to live in Japan? I just decided yesterday that I was going to run the Nagano marathon so I’m glad to see there are multiple reasons to visit this place apart from the marathon, where would you recommend I stay in Nagano city? It really depends on your budget. If you’re looking for something private and cheap, business hotel chains (like Sunroute) are good. Nagano Daiichi Hotel seems like a pretty good deal in terms of cheap hotel/motel (has a bath on the top too!). Airbnb probably allows a more intimate and traditional experience (especially since your host will be a local). Again, this might be a little cheaper than a business hotel, but you won’t have the same level of privacy (and will probably sleep on a tatami). Like, this one seems pretty good. If you have an extremely high budget and want to spend a night at a hot spring/ryokan somewhere nearby then let me know and I can help you find one. Chanced upon your blog online when Im trying to get more info on Nagano. This will be my second trip to Japan and planning to visit Nagano from Kyoto (using JR pass). Would like to seek your advice how should I go about if I intend to visit Snow Walls on Mt. Norikuradake; See the Snow Monkey; Savour the famous Soba. Where should I be overnight? Appreciate if you could advise me as I have totally no idea. Is my itinerary correct? I apologize for the late response! When are you going to Japan? If you’re going in the summer then you won’t see snow walls, unfortunately. Those are only around in the winter months (Jan-March)… if you’ll be going there then it’s fine. Keep in mind Nagano City to Hakone is 3.5 hrs nonstop travel by shinkansen. You’ll miss Matsumoto unfortunately, but yeah, with these time constraints you have to choose. Good luck!! 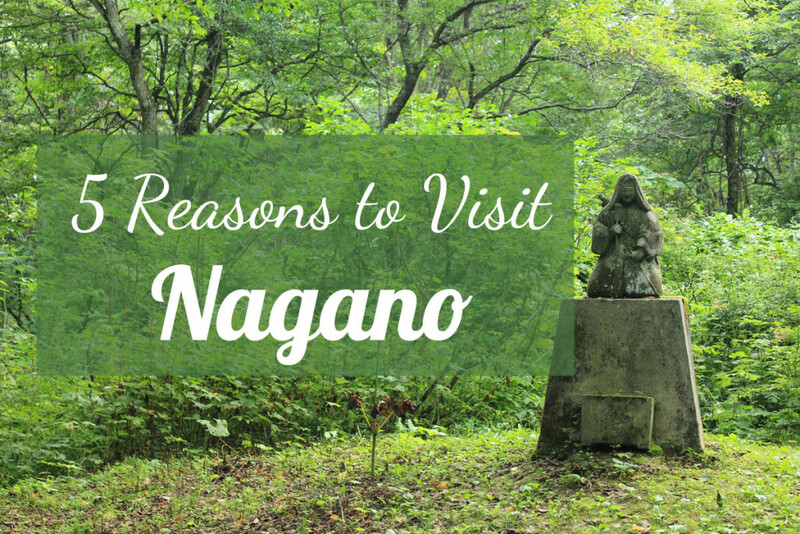 You’ll love Nagano! Thanks for the reply, really appreciate that. Will be travelling on 24th January 2019. I have checked the link but surprisingly it mentioned the snow wall will be closed during winter (December – March) – please correct me if Im wrong this is because I’m intend to visit as well. Will be holding JR Pass and have some slight adjustment on the itinerary – what do you suggest? Matsumoto > Castle > Wasabi Farm? ** able to slot in Tateyama Snow corridor if it’s open during winter? How do I do that? I apologize for how late this is–been swamped with work. I think that note about the wall closing December-March is pretty accurate–mostly because it will be snowing. I don’t think it will be safe for tourists to go around there while snow is accumulating. I think the wall is one of those things that an only be viewed 2-3 months out of the year. 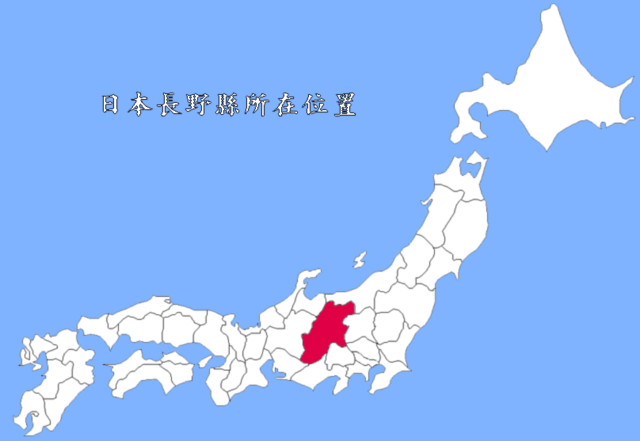 Basically, Matsumoto and Nagano City are very far away from each other (like 2 hrs I think?). 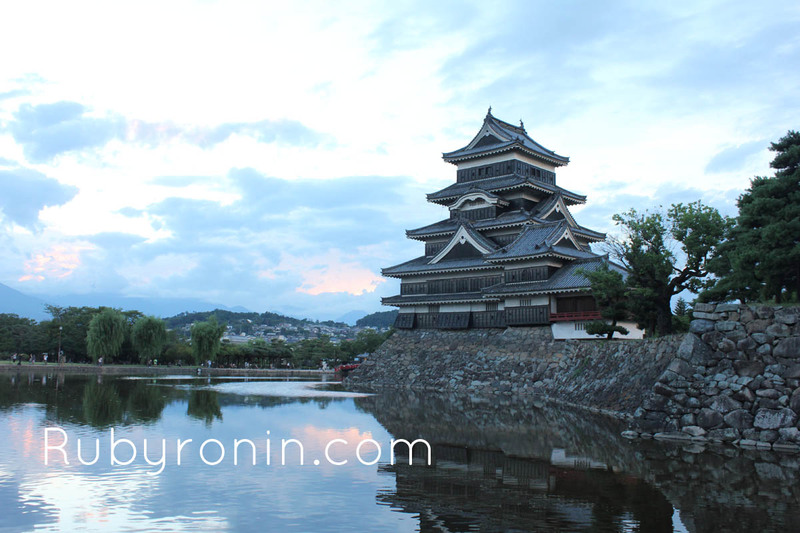 From your previous itinerary, it sounded like you were going to base yourself in Matsumoto the entire time you were in Nagano prefecture–which would be very tiring and not realistic. Matsumoto has a JR line that goes to Hakuba, so going there first round trip will make the most of your JR pass. Jigokudani is pretty far away from Nagano City (it’s quite the long bus ride if I remember correctly). If you plan well I think you can do Jigokudani and Zenkoji in one day. Nagano City is a pretty big station and is “closer” to Hakone than Matsumoto, so leaving Nagano City is a better option. Great post! 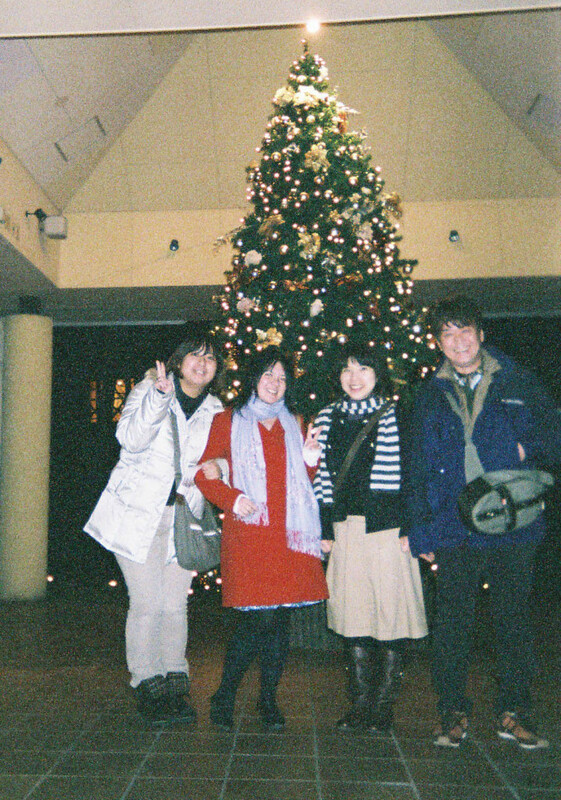 We are from Australia and are planning on visiting the Nagano region in December. 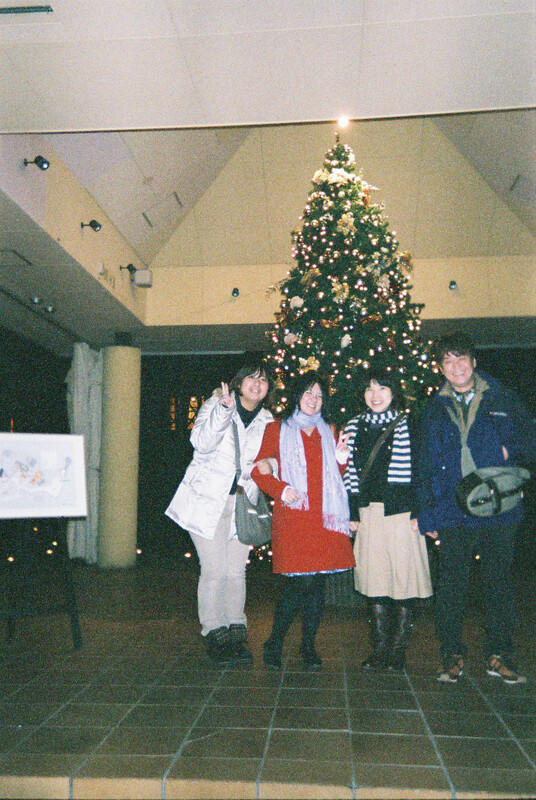 We plan to hire a car in Nagano City and just wondered how easy it is navigate. We will have an English GPS. Thanks for reading! 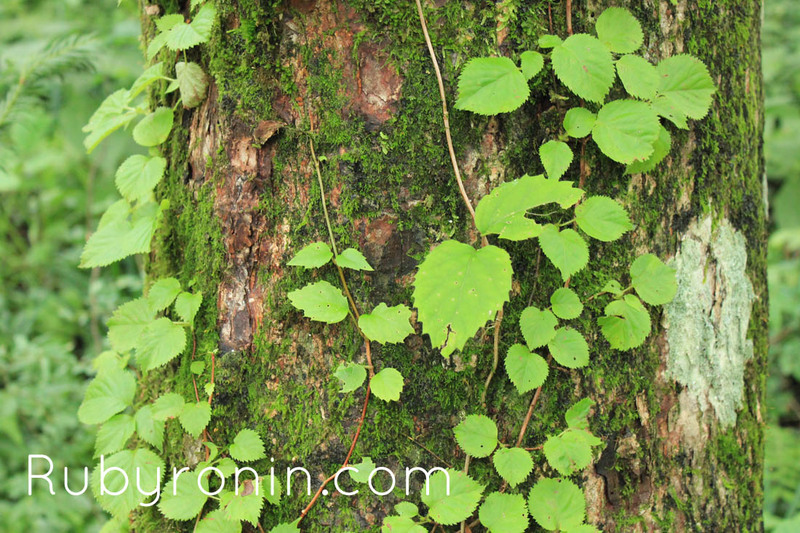 I’m excited to hear about your visit to Nagano–you will love it. Nagano is pretty easy to navigate and it’s in the ‘countryside,’ so it shouldn’t be too crowded or stressful to drive in. I don’t think you’ll need a car for the city (it’s quite walkable and they have a great bus system), but the car could come in handy when you want to travel to those faraway mountain areas. If you’re going in December please make sure the tires have chains and are winter equipped! I’m sure they will be.